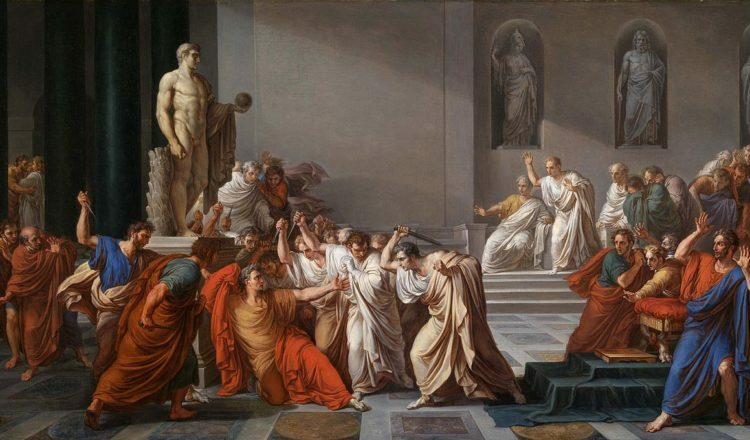 “Beware of the Ides of March as both parties slowly kill us all off!” ~Marilyn Singleton, MD, JD reports on the latest battles in health care legislation on Capitol Hill. Revisions to the ACA continued to pile in even as the “repeal and replace” was in progress. What was on their minds? These bills seem like an exercise in futility while negotiations over a major health care “system” overhaul are occurring. These revisions will likely be ignored while our congresspersons mull over the American Health Care Act (AHCA). At least these bills will be written when nothing happens to the ACA and we are still stuck with it. I include some alternative bill to the American Health Care Act since they, like the AHCA, maintain provisions of the ACA. The amount a household is required to pay towards their premiums is based on income. If a household’s income increases during the tax year, excess premium tax credits may result. Under the ACA, for households with incomes less than 400 percent of the federal poverty level there are certain limits on the amount the household is required to repay the federal government for the excess premium tax credits. For tax years 2018 and 2019, any individual who was overpaid in premium tax credits must repay the entire excess amount, regardless of income. Under the ACA, qualified health plans must meet certain requirements for households to be eligible for the premium tax credit. This section: (a) amends those requirements to make available premium tax credits for the purchase of “catastrophic-only” qualified health plans and certain qualified plans not offered through an Exchange; (b) prohibits premium tax credits from being used to purchase plans that offer elective abortion coverage; (c) revises the schedule under which an individual’s or family’s share of premiums is determined by adjusting for household income and the age of the individual or family members. This section repeals the ACA’s premium tax credit beginning in 2020. This section repeals the ACA’s small business tax credit beginning in 2020. Between 2018 and 2020, under the proposal, the small business tax credit generally is not available with respect to a qualified health plan that provides coverage relating to elective abortions. This section would reduce the penalty to zero for failure to maintain minimum essential coverage. The bill would provide retroactive relief to those impacted by the penalty in 2016. This section would reduce the penalty to zero for failure to provide minimum essential coverage. The bill would provide retroactive relief to those impacted by the penalty in 2016. The ACA imposed a 40 percent excise tax on high cost employer-sponsored health coverage (“Cadillac plans”). The tax will go into effect in 2020. This section changes the effective date of the tax until December 31, 2024. This section repeals the ACA exclusion of over-the-counter medications from the definition of qualified medical expenses. Distributions from an HSA or Archer MSA that are used for qualified medical expenses are excludible from gross income. Distributions that are not used for qualified medical expenses are includible in income and are generally subject to an additional tax. The ACA increased the percentage of the tax on distributions that are not used for qualified medical expenses to 20 percent. This section lowers the rate to pre-ACA percentages, effective for distributions after December 31, 2017. This section repeals the ACA limits the amount an employer or individual may contribute to a health Flexible Spending Account (FSA) to $2,500, indexed for cost-of-living adjustments, effective December 31, 2017. This section repeals the ACA’s 2.3 percent medical device excise tax beginning after December 31, 2017. This section re-instates the pre-ACA business-expense deduction for retiree prescription drug costs without reduction by the amount of any federal subsidy, beginning after December 31, 2017. The ACA increased the AGI percentage threshold from 7.5 percent to 10 percent if the taxpayer or spouse was aged 65 or older. This section restores the pre-ACA AGI percentage threshold to 7.5-percent for all taxpayers beginning in 2018 and extends the special rule for those aged 65 or older through this year. This section repeals the ACA’s Medicare Hospital Insurance (HI) surtax based on income at a rate equal to 0.9 percent of an employee’s wages or a self-employed individual’s self-employment income, beginning in 2018. This section creates an advanceable, refundable tax credit for the purchase of state-approved, major medical health insurance and unsubsidized COBRA coverage. To be eligible, generally, an individual must not have access to government health insurance programs or an offer from any employer; and be a citizen, national or qualified alien of the United States, and not incarcerated. The credits are adjusted by age, increasing from $2,000 for those under age 30 to $4,000 to those over age 60. The credits are additive for a family and capped at $14,000. This section increases the basic limit on aggregate Health Savings Account contributions for a year to equal the maximum on the sum of the annual deductible and out-of-pocket expenses permitted under a high deductible health plan. Thus, the basic limit will be at least $6,550 in the case of self-only coverage and $13,100 in the case of family coverage beginning in 2018. This section would effectively allow both spouses to make catch-up contributions to one HSA beginning in 2018. This section sets forth certain circumstances under which HSA withdrawals can be used to pay qualified medical expenses incurred before the HSA was established. Starting in 2018, if an HSA is established during the 60-day period beginning on the date that an individual’s coverage under a high deductible health plan begins, then the HSA is treated as having been established on the date coverage under the high deductible health plan begins for purposes of determining if an expense incurred is a qualified medical expense. *Repeal of ACA’s 10% indoor Tanning Tax, beginning 2018. This section repeals the ACA’s 3.8% net investment tax on individuals, estates, and trusts with incomes above certain amounts, starting in 2018. Generally, employers may deduct the remuneration paid to employees as “ordinary and necessary” business expenses. The ACA added a limitation for certain health insurance providers that exceeds $500,000 paid to an officer, director, or employee. This section repeals the limit on the deduction of a covered health insurance provider for compensation attributable to services performed by an applicable individual starting in 2018. This section repeals the ACA’s annual fee (tax) on brand pharmaceutical manufacturers such that the tax would not apply for years beginning after December 31, 2017. This section repeals the ACA’s annual fee (tax) on health insurers beginning after December 31, 2017. On January 23, 2017, S. 191, the Patient Freedom Act of 2017,(73 pages) was introduced by Sen. Bill Cassidy, MD (R-LA) and referred to the Senate Finance Committee. The legislation aims to shift the question of repeal to states by allowing them to continue to use the ACA as is or move to state-specific plans that rely on health savings accounts and decreased financial support from the federal government. (3) prohibiting both annual and lifetime limits by health insurance companies. (3) create a new state-designed plan with no federal assistance at all. An article in The Federalist, “4 Ways the Patient Freedom Act Is Worse Than Obamacare,” notes that the bill would expand taxpayer funding for abortions (by providing federal funding for states as a workaround to the ban on federally funding abortions), could increase total federal expenditures by increasing Medicaid funding even for states choosing not to expand the program, perpetuates government-mandated price controls, and creates a “big government” automatic enrollment program. (1) the employer mandate, the individual mandate, Medicaid expansion. (2) most of federal regulations that mandate what health plans are required to cover, mandatory birth control coverage, community rating. (3) ban on insurer discrimination on the basis of a patient’s preexisting condition. Sen. Paul’s bill returns to pre-ACA rules from HIPAA which provides that individuals cannot be denied eligibility or benefits based on certain “health factors” when enrolling in a health plan. Additionally, they may not be charged more than similarly situated individuals based on any health factors. (4) encourages health savings accounts (HSAs) by providing a tax credit of up to $5,000 (vs the current $3,400 per individual). (5)provide uncapped deduction for individual-provided health insurance. (5) provide refundable tax credit for health insurance premiums, but the refundable portion of the credit only applies up to the limit of an individual’s payroll taxes paid. (6) allow the IRS to give doctors a tax deduction equal to the amount they would otherwise charge for charity care, up to 10 percent of a doctor’s income for the year. On February 1, 2017, S. 260, the Protecting Seniors’ Access to Medicare Act of 2017, was introduced by Sen. John Cornyn (R-TX) and referred to the Senate Finance Committee. This bill repeals the Independent Payment Advisory Board (IPAB) and any provision of law amended by such sections is hereby restored as if such sections had not been enacted into law. On February 1, 2017, S. 251, the Protecting Medicare from Executive Action Act of 2017, was introduced by Sen. Ron Wyden (D-OR) and referred to the Senate Finance Committee. The bill repeals section 3403 of the Affordable Care Act – the IPAB – and any provision of law amended by such sections is hereby restored as if such sections had not been enacted into law. On February 14, 2017, H.R. 1051, the Halt Tax Increases on the Middle Class and Seniors Act, was introduced by Rep. Martha McSally (R-AZ) and referred to the House Ways and Means Committee. The bill would amend the Internal Revenue Code to roll back the increased income threshold for determining the amount of the tax deduction for medical expenses. Currently, individual taxpayers may only deduct those medical expenses that exceed 10% of their adjusted gross income. This bill reduces that percentage to 7.5%. On February 16, 2017, H.R. 1150, Tanning Tax Repeal Act of 2017, was introduced by Rep. George Holding (R-NC) and referred to the House Ways and Means Committee. The bill would amend the Internal Revenue Code to repeal the 10% excise tax on indoor tanning services. On February 17, 2017, H.R. 1204, the Responsible Additions and Increases to Sustain Employee Health Benefits Act of 2017, was introduced by Rep, Steve Stivers (R-OH) and referred to the House Ways and Means Committee. The bill would amend the Internal Revenue Code, with respect to the tax exclusion for distributions from health flexible spending arrangements provided under a cafeteria plan, to: (1) increase the annual limit on employee salary reduction contributions to $5,000, with an additional $500 for each additional employee dependent above two dependents that has not been taken into account by another person for the year; (2) revise the adjustment for inflation after 2017; and (3) allow a carryforward into the next year for unused amounts in such plans. On February 17, 2017, H.R. 1201, the Equitable Access to Care and Health Act (EACH Act), was introduced by Rep. Rodney Davis (R-IL) and referred to the House Ways and Means Committee. The bill would amend the Internal Revenue Code to expand the religious conscience exemption under the Patient Protection and Affordable Care Act to exempt individuals who rely solely on a religious method of healing and for whom the acceptance of medical health services would be inconsistent with their religious beliefs from the requirement to purchase and maintain minimum essential health care coverage. On February 2, 2017, S. 284, the End Surprise Billing Act of 2017, was introduced by Sen. Sherrod Brown (D-OH) and referred to the Senate Finance Committee. Its sister bill, H.R. 817, introduced by Rep. Lloyd Doggett (D-TX). This bill amends the Medicare law to require a critical access hospital or other hospital to comply, as a condition of participation in Medicare, with certain requirements related to billing for out-of-network services. The justification for the bill is that the ACA does not limit what emergency-care providers may balance bill patients beyond the amounts that health plans allow. To fully protect patients, federal law should prohibit any balance billing by providers for emergency services, also including ambulance services. In addition, a comprehensive solution should cover the totality of a patient’s treatment after coming to the emergency room, including any care during an ensuing hospital admission (either at the same or a transfer hospital). This requirement could be imposed, similar to EMTALA, as a condition of providers participating in Medicare. (2) if so, the estimated out-of-pocket costs of the services to the individual. At least 24 hours prior to providing those services, the hospital must document that the individual: (1) has been provided with the required notice, and (2) consents to be furnished with the services and charged an amount approximate to the estimate provided. Otherwise, the hospital may not charge the individual more than the individual would have been required to pay if the services had been furnished by an in-network or participating provider. With respect to such an individual who is seeking same-day emergency services, a hospital may not charge more than the individual would be required to pay for such services furnished by an in-network or participating provider. On February 16, 2017, H.R. 1167, Enhancing Opportunities for Medical Doctors Act of 2017 was introduced by Rep. Mia Love and referred to the House Energy and Commerce and Ways and Means Committees. The bill would amend the Medicare law to redistribute unused residency positions for which graduate medical education costs are paid under Medicare. Specifically, the Centers for Medicare & Medicaid Services must: (1) reduce a hospital’s resident limit by a specified amount if the hospital has unused residency positions and is not a rural hospital with fewer than 250 acute care inpatient beds, and (2) increase the resident limit for each qualifying hospital that applies for an increase. In aggregate, the number of increased positions shall equal the number of reduced positions. On January 24, 2017, S. 204, the Trickett Wendler Right to Try Act of 2017, was introduced by Sen. Ron Johnson (R-WI) and referred to the Senate Health, Education, Labor, and Pensions Committee. This bill requires the federal government to allow unrestricted manufacturing, distribution, prescribing, and dispensing of experimental drugs, biological products, and medical devices that are: (1) intended to treat a patient who has been diagnosed with a terminal illness, and (2) authorized by state law. The federal government must allow unrestricted possession and use of such treatments by patients certified by a physician as having exhausted all other treatment options. A manufacturer, distributor, prescriber, dispenser, possessor, or user of such a treatment has no liability regarding the treatment. The outcome of manufacture, distribution, prescribing, dispensing, possession, or use of such a treatment may not be used by a federal agency to adversely impact review or approval of the treatment. The treatment must: (1) have successfully completed a phase 1 (initial, small scale) clinical trial; (2) remain under investigation in a clinical trial approved by the Food and Drug Administration; and (3) not be approved, licensed, or cleared for sale under the Federal Food, Drug, or Cosmetic Act or the Public Health Service Act. On February 16, 2017, H.R. 1155 was introduced by Rep. Lynn Jenkins (R-KS) ad referred to the House Energy and Commerce and on Ways and Means Committees. The bill would amend the Medicare law to allow physician assistants, nurse practitioners, and clinical nurse specialists to supervise cardiac, intensive cardiac, and pulmonary rehabilitation programs. Will Physicians Be On the List? On February 15, 2017, H.J. Res. 42, introduced by Kevin Brady (R-TX), passed the House (236 – 189). The resolution disapproves and nullifies the rule issued by the Department of Labor on August 1, 2016, defining the occupations eligible for drug testing of unemployment compensation applicants. “Occupations” listed by the Department that may regularly require drug testing are only jobs that require carrying a firearm, aviation flight crews, air traffic controllers, commercial drivers, railroad crews, pipeline crew members, and commercial maritime crew members. This list is considered too narrow and the rule generally considered too prescriptive and overly constraining of states. On February 16, 2017, S.J. Res. 23, a joint resolution disapproving the rule submitted by the Department of Labor relating to drug testing of unemployment compensation applications, was introduced by Sen. Ted Cruz (R-TX) and referred to the Senate Committee on Finance Committee. On January 30, 2017, S. 241, the Protect Funding for Women’s Health Care Act, was introduced by Sen. Joni Ernst (R-IA) and referred to the Senate Health, Education, Labor, and Pensions Committee. This bill prohibits federal funding of Planned Parenthood Federation of America or its affiliates, subsidiaries, successors, or clinics. On January 31, 2017, H.R. 771, the Equal Access to Abortion Coverage in Health Insurance (EACH Woman) Act of 2017, was introduced by Rep. Barbara Lee (D-CA) and referred to House Energy and Commerce and Oversight and Government Reform Committees. This bill is in response to H.R. 7, the No Taxpayer Funding for Abortion and Abortion Insurance Full Disclosure Act passed by the House in February 2017. That bill made permanent the ban of federal funding for abortions as set forth in the Hyde Amendment which Congress has passed every year since 1976. This bill, H.R. 771, requires the federal government: (1) to ensure coverage for abortion care in public health insurance programs including Medicaid, Medicare, and the Children’s Health Insurance Program (CHIP); (2) as an employer or health plan sponsor, to ensure coverage for abortion care for participants and beneficiaries; and (3) as a provider of health services, to ensure that abortion care is made available to individuals who are eligible to receive services. The federal government may not prohibit, restrict, or otherwise inhibit insurance coverage of abortion care by state or local governments or by private health plans. State and local governments may not prohibit, restrict, or otherwise inhibit insurance coverage of abortion care by private health plans.